The Upper Rhine extends from the Rhine knee near Basel to the Rhine knee near Mainz. The region includes the German-French-Swiss border area with Alsace, north-western Switzerland, southern Palatinate and part of Baden. Since the Stone Age, the plain between the Black Forest and the Vosges is one of the most important transit areas in Europe. The Romans were the first to systematically build roads. In the Middle Ages there was a trade route between Northern Italy and Flanders. 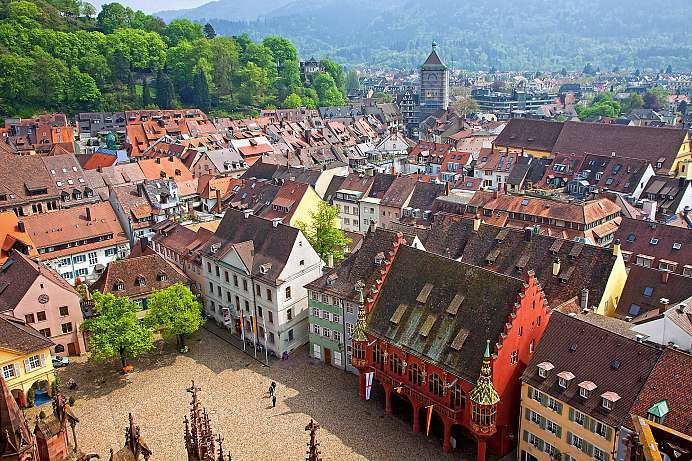 Great cities such as Strasbourg, Colmar and Freiburg bear witness to the wealth of the region. But until the 19th century, unpredictable floods threatened every civilization. It was not until the straightening of the Rhine in the 19th century that the problem was contained. In some places, however, there are still floodplain forests and oxbow lakes, which are protected. 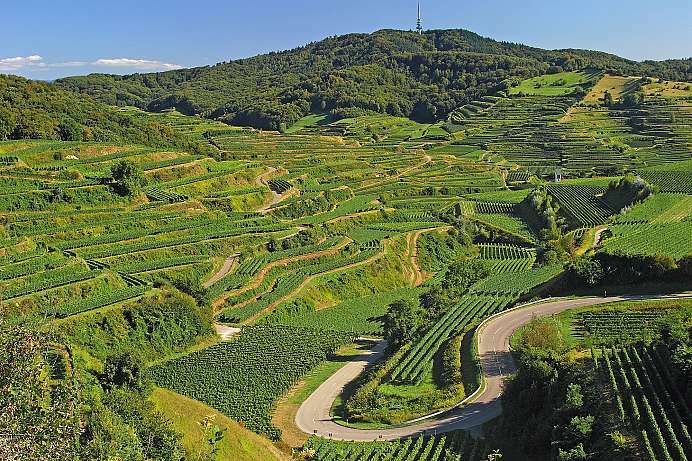 North of Freiburg lies the Kaiserstuhl (“Emperor's Chair”), a group of hills that rise up from the Rhine Valley. Its name is most likely owed to King Otto III, who held court at Sasbach in 994 and later became emperor. Germany's warmest region is famous for its white wines, but also for its great variety of orchids. 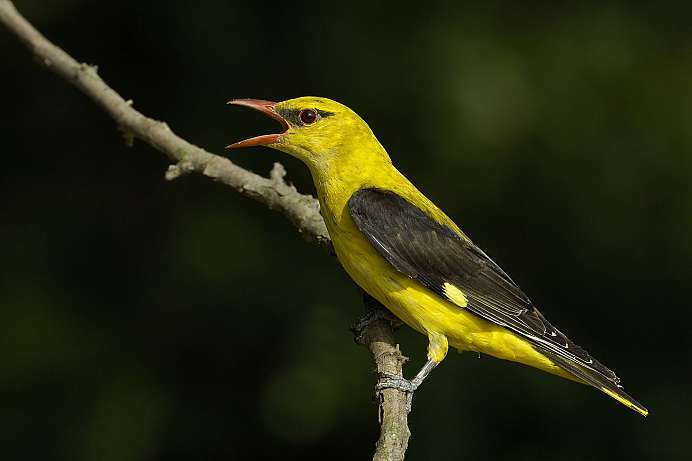 Wild hyacinths grow between the vines, irises bloom on the slopes and green lizards and mantises live in the meadows. 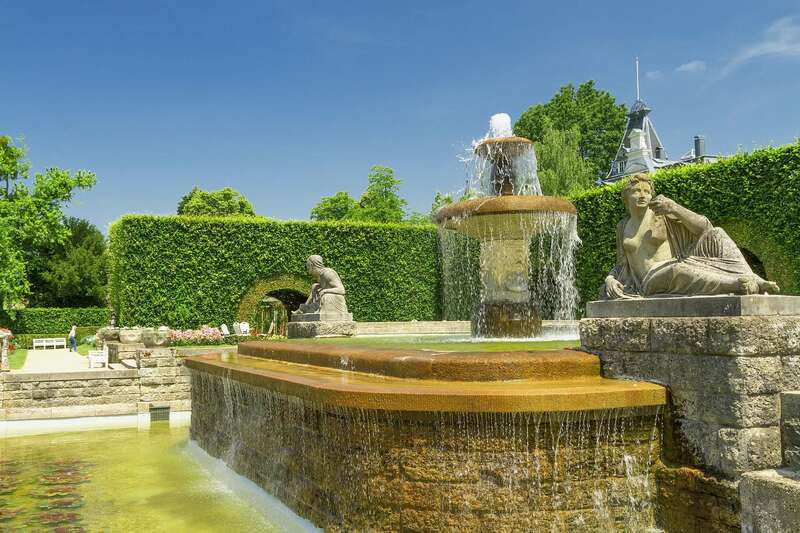 The best way to explore this sunny area is on foot via the 22-kilometer Kaiserstuhl-Path which leads from Endingen to Ihringen. 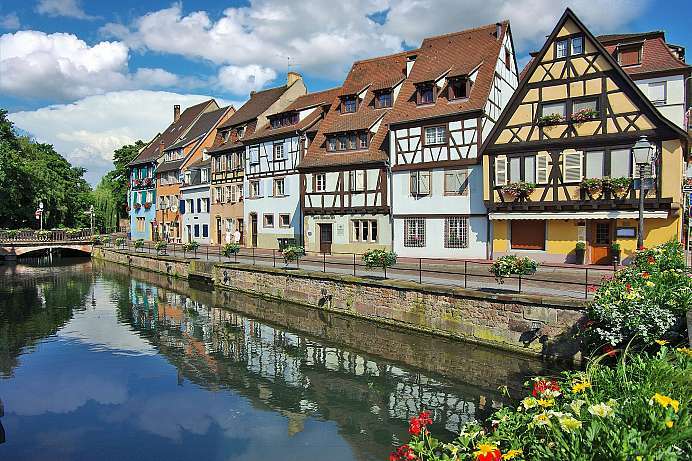 The city in southwestern Germany which lies in the Upper Rhine Valley between the French Vosges Mountains and the Black Forest to the east, enjoys a pleasant warm climate. 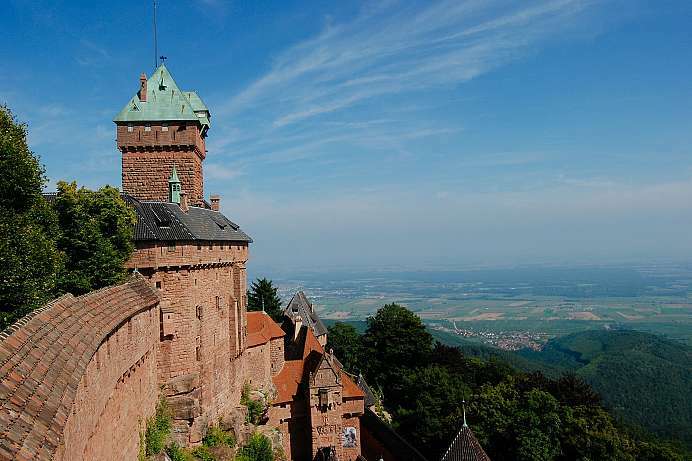 Its story begins with a castle (Freiburg – “free castle”) of the Zähringer Duke in 1008. Today the vibrant university town with over 30,000 students is a stronghold in the world for solar energy research and one of the few German cities with a “green” mayor. The picturesque, traffic-free old town with its magnificent cathedral lends itself to a leisurely stroll, to shop or to dine. South of the city the Schauinsland rises, – one of the most beautiful mountains in the southern Black Forest. And a few kilometers north the Kaiserstuhl (Emperor’s Chair), a range of hills where rare plants and excellent wines grow, emerges from the Rhine plains. 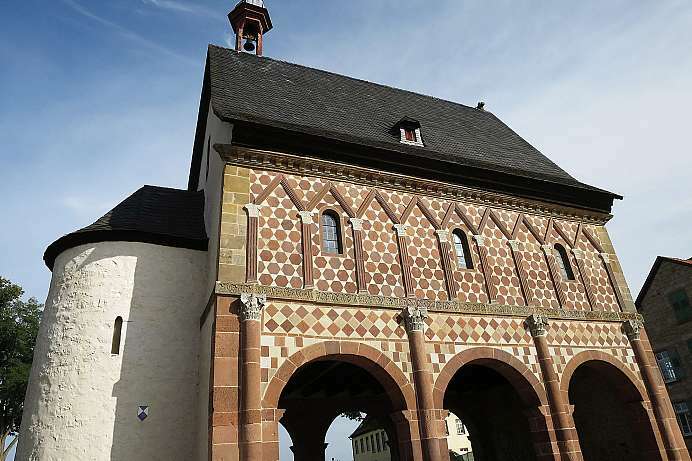 The 260 m long drawn-out establishment towers as a hilltop castle at 757 meters on the eastern edge of the Vosges Mountains on a mighty rock with phenomenal views of the Upper Rhine Valley. 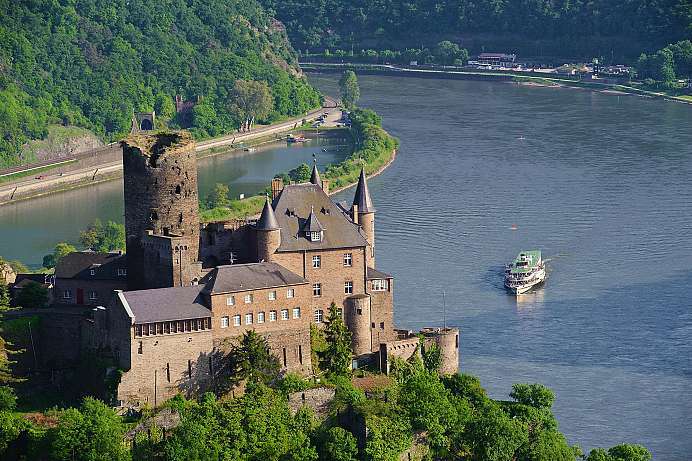 From the castle almost all the trade routes of the Upper Rhine Valley could be controlled. Together with the opposite ruins of Oedenbourg (Petit-Kœnigsbourg) it forms a unique ensemble that is one of the most visited tourist attractions in France. The former residence of the Grand Dukes of Baden is one of the last major European foundations of the town on the drawing board and at the same time the result of a far-reaching idea: Karl Wilhelm, Margrave of Baden-Durlach, decided to exchange the medieval narrowness of his then residence Durlach for the construction of a new city open in layout and spirit. Characteristic for the original city map from 1715 is the fan-shaped ground plan. 32 streets radiate around the castle and the parks. The heart of the city is still the castle. It houses the Baden State Museum with collections from the early history of Baden and changing exhibitions. The state capital of Rhineland-Palatinate is one of the oldest cities in Germany. 38 BC, the Romans built the camp Moguntiacum on a Rhine bend. 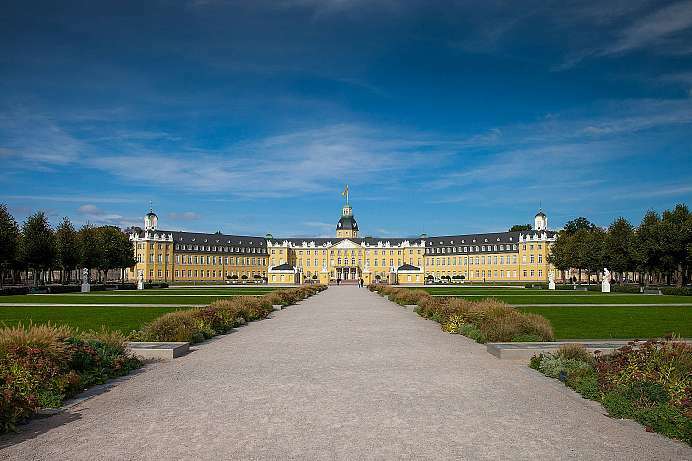 50 years on, it became the seat of the commander of Upper Germania. 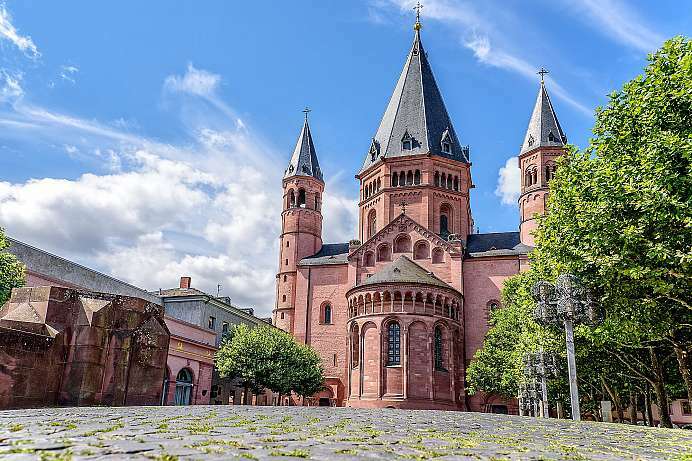 In the 13th century Mainz flourished. Its archbishops were electors and chancellors. The cathedral with its six towers is one of the greatest buildings of its time. On the northeast side of the cathedral square stands the Gutenberg House, once the world's first printing workshop. This is also where the Gutenberg Bible, which was printed in 1450, is kept. The old town with its maze of streets and alleyways south of the cathedral is worth a wander. 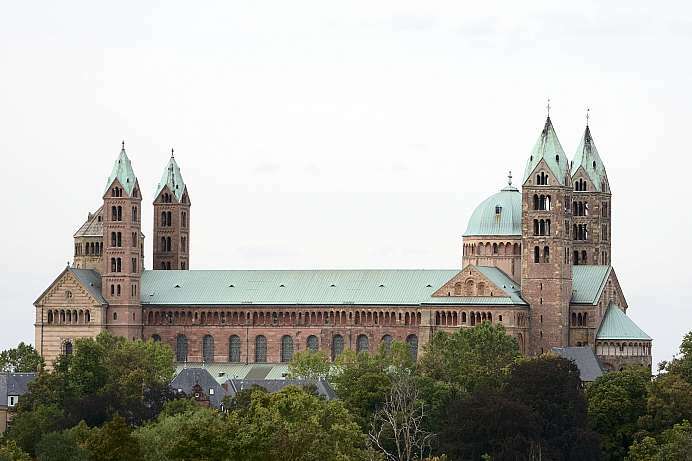 As a free imperial city in the Middle Ages, Speyer was one of the most important cities of the Holy Roman Empire of the German Nation. The Emperor's- and St. Mary's-Cathedral is the world's largest preserved Romanesque church, – to-day a UNESCO World Heritage Site. The Salian King and later Emperor Conrad II initiated the construction in 1025 with the goal of creating the largest church of the Occident. Eight German emperors and kings are buried in the crypt. Just a few minutes from the Cathedral is the Judenhof, the old Jewish quarter of Speyer. Here one can also view the mikvah (the bathhouse) and sections of the synagogue. When the Rhine was still a tributary of the Rhone and flowed into the Mediterranean, dewing Gletzscher had formed a huge lake between the Black Forest and the Vosges. Later, after the Rhine had dug its way through the barrier of the Taunus Mountains, the lake became a wetland biotope with large riparian forests and a maze of water arms with an extremely diverse fauna and flora. When the Upper Rhine was straightened and tamed in the 19th century, only Taubergießen remained of the area. With almost 2,000 hectares of land, it is today the largest nature reserve in Baden-Württemberg. 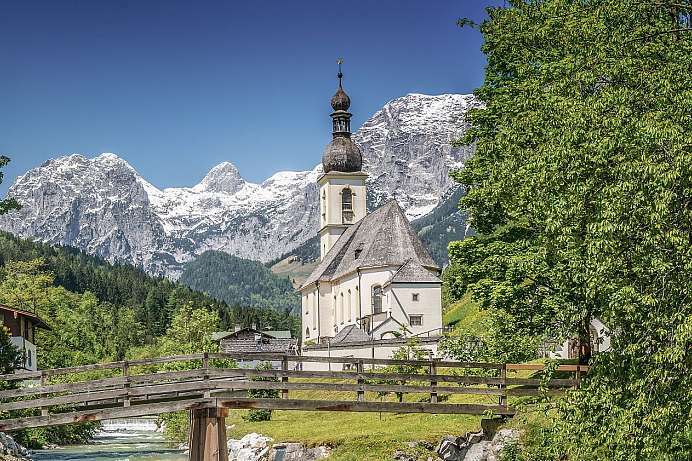 Several hiking trails lead through the “last jungle on the Rhine”. Boat trips with traditional fishing boats are also offered. A popular circular route is the Swamp Beaver Route (round trip: 13 kilometres, 3 hours, up and down: 20 metres).